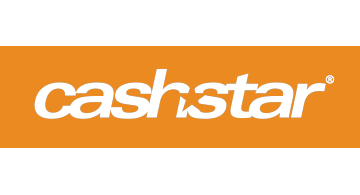 CashStar is the industry-leading provider of prepaid commerce solutions at the forefront of mobile payments, digital gifting and branded currency. The CashStar Commerce platform is used by merchants to increase revenue, reduce costs and optimize customer experiences across channels, and the CashStar Exchange platform is used by gift card distributors and loyalty programs to procure and deliver gift cards from hundreds of leading brands. CashStar clients include top brands like Sephora, Starbucks, The Home Depot, Uber and Walmart and distribution partners such as American Express Membership Rewards, Great Lakes Scrip, Maritz Motivation Solutions, MyCokeRewards, Raise.com and United MileagePlusX. To learn more about CashStar’s solutions, please visit www.cashstar.com, follow @CashStar or e-mail info@cashstar.com.